Currently I drive 2005 GMC Envoy XL with the 4.2L straight 6 cyl engine. I like the size, comfort and performance of the Envoy. I don't like the frequency of repairs that I have to do to keep it going. Every week something else breaks down. I do most ofmy own repairs but in winter and for some heavy duty dirty jobs I take it to the shop (and pay triple). I am looking for something of similar calibre and more technologically up to date to replace the truck. It should be an SUV with sufficient towing capability (my boat plus trailer weigh 1000 KG) with lots to spare. Also comfort and safety is important. 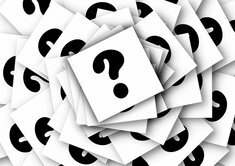 I am getting older, so some of the safety assist and warning features would be appreciated. At one time I looked at pick-up trucks like the F150 and similar, but decided that they are too big and I don't need the empty truck bed for anything, so it's back to SUV hunt. 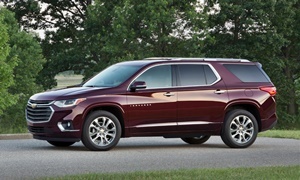 Your 2200lb trailer and boat can be towed by most mid size SUV's. 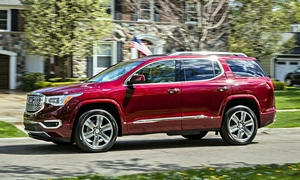 Also you budget would cover most new regular brands or most used premium brand Mid size SUV's. I'd look at. 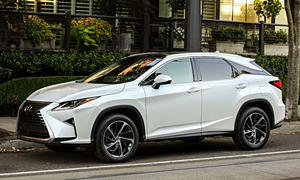 Lexus RX 350 AWD. Avoid the 450h, although it's rated at 3500lbs towing there is info from users that it can't reverse up an incline due to reversing only using the rear electric motor. 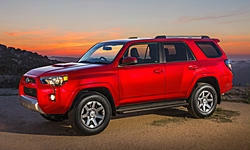 If you want body on frame look at the Toyota 4 runner. I'd mainly look at midsized SUVs because in your budget, you could get a top of the line one and still have money to spare. I don't know if the Pathfinder would be the best choice because the CVT transmission is notorious for failing in the new ones, but Consumer Reports shows that they have fixed it in the current 2017 Pathfinders. It's a comfy car, but it's a little outdated and still has other problems with reliability. The good thing is that it can tow 6000 lbs. 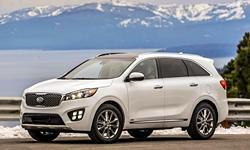 One of the most overlooked SUVs, but still pretty popular is the Kia Sorento. I've driven it and it drives like a luxury car. The V-6 AWD can tow 5000 pounds with the towing package. 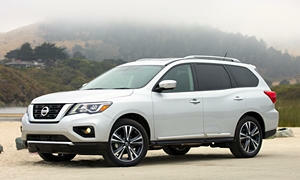 The Pilot and this are really good SUVs. The reliablity has been very good too. 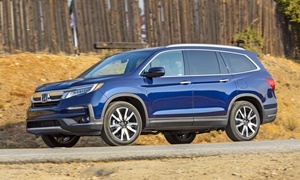 I'd take a look at a 2017 Honda Pilot Elite because it has good reliability, it's comfy, it's up to date with technology. It has a pretty good AWD system too where you can select the type of terrain you are on. It can tow 4500 pounds in AWD and 2000 in FWD. The Toyota Highlander is also a good choice because it has a nice blend of reliability, up to date technology, comfort, and off road capability. 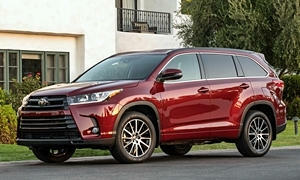 It can tow 5000 pounds with the towing package on the V-6 model and 3500 pounds with the hybrid, which is AWD. One thing I found with the Highlander was that the side mirrors were very large and restricted visibility. They would cover up someone on a crosswalk from the driver's view. 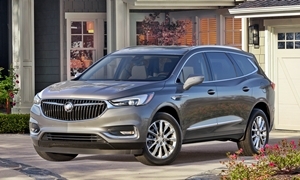 To stay the same size or slightly bigger with 5,000 lbs towing capacity of the Envoy and staying under $50,000 with a host of safety tech, take a look at the best selling 3-row unibody platform of all time: the Traverse, Enclave, or Acadia.